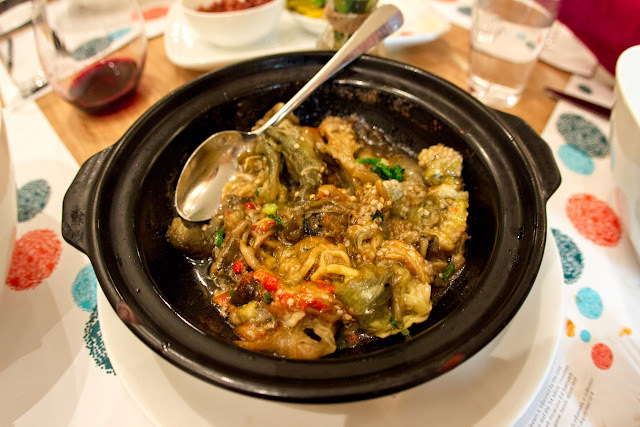 Open for lunch Thursday - Sunday, dinner every night from 5.30pm and yum cha 10am - noon on weekends. Living in Footscray has a lot of benefits for a foodie. The array of cultures provides an amazing number of specialty items; from dried scallop to injera to cannoli. Having access to all of this food culture has a side-effect of making you feel like you kinda know what you’re talking about (“Actually it’s pronounced ‘fuuah’”, etc). 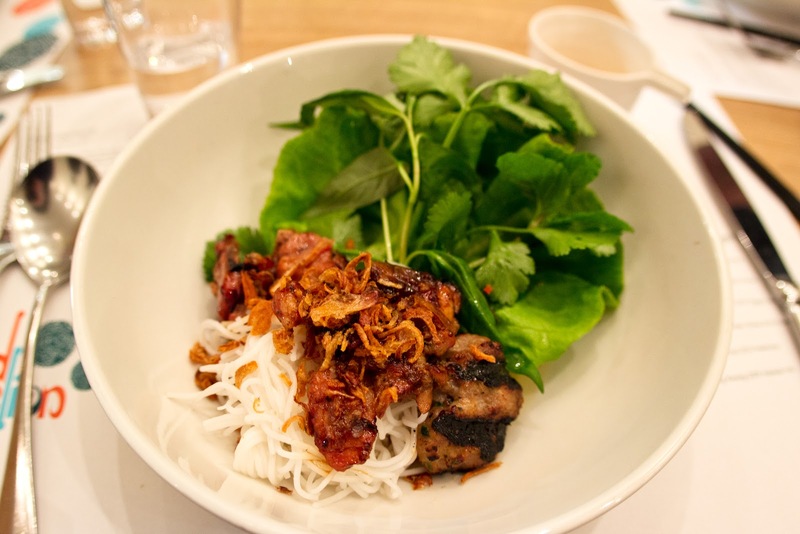 When we first moved to Footscray we set ourselves a challenge to try every single Pho in town. There was no time limit set on this challenge and at this point we were eating breakfast in Footscray every Saturday, so it seemed like an achievable goal. Akin to a sedentary 40 year old watching Gymnastics heats at the Olympics, we quickly developed our own opinions on style and technique, what was good and what not-so-good about each restaurant we ate at. The accompaniments, the noodle, broth, cuts of meat used… we spoke about it like there was right and wrong instead of just our opinions and tastes. I think we got through about eight places before we found one that we couldn’t help but go back to. The broth was really flavoursome, the meat wasn’t just a grey ball at the bottom of the bowl, the bean sprouts and other garnishes were fresh and clean. This was now the high standard for Pho. All other Pho would be judged against this and would fail for not being this. I have now eaten at this restaurant more than any other restaurant in my entire life. I don’t think that I can objectively judge other Vietnamese restaurants because to me, Pho Tam is what I want all Vietnamese food to be. I’ve mentioned Pho Tam before and probably will again. I’ve tried most of their menu and the worst thing I can say about one of their dishes is that it wasn’t quite as good as the rest of their menu. But they have about 90 items on their menu, so cut them some slack okay? We spread the love a little bit – we will go to Sapa Hills on occasion or try out any new places that pop up. But at any new place, I’ll order Pho and it will be judged against my favourite dish at my favourite restaurant. It’s not going to win. I know that. Why the hell do I keep ordering it? Am I really going to stop going to Pho Tam after eating there for three years? Do I need to validate their food (and more importantly my opinion of it) any further? I guess you can argue that it’s not really just about that. I love trying new Vietnamese places and usually I will order Pho but to be honest if there is something that sounds interesting or exciting that I haven’t tried before, that will be my order. I understand that I’m not Vietnamese, that I’ve never been to Vietnam and that Footscray isn’t Vietnam (parts of it are though). I understand that just because I enjoy eating Pho and Banh Mi, this doesn’t give me a cosmic bond with another people. I do honestly get all that and that my opinions about their food in terms of the authenticity, history, flavours of it all is something I can only read about and regurgitate third-hand. However. The commercialisation and re-casting of poor people’s food as something high-class and expensive is something I am relatively iffy about. Ms. G’s in Sydney was the first time I tried Vietnamese food where my meal cost more than a concession movie ticket. It made me a bit angry. Miss Chu’s was next - it isn’t expensive but it’s kind of the McDonalds of Vietnamese food (based on my one experience of eating there). Golden Fields was good but… when I imagine the feast we could have had back West for the same price…. We most recently went to Dandelion. They were advertising a series of three themed dinners, encapsulating the food discoveries of their recent travels to Vietnam: ‘The Sea’, ‘The River’ and ‘The Mountain’. This was the hook. Watching TV shows about Vietnam – Luke Nguyen’s show and even when Top Gear rode motorbikes the length of Vietnam, whenever I see the hills of Northern Vietnam my mouth just hangs open (well it might be hanging open anyway, but now out of awe rather than me just attempting to utter a complete sentence). It’s like Thailand without the billboards advertising off-road vehicles and paintball. It always seems so perfect. Like the land has healed itself after all that has gone on before it. It’s what I imagine the rest of the world will return to after we are finally gone. The menu was filled with exciting ingredients – heart of palm, pigeon dumpling, truffle… the Pho was the only worry. 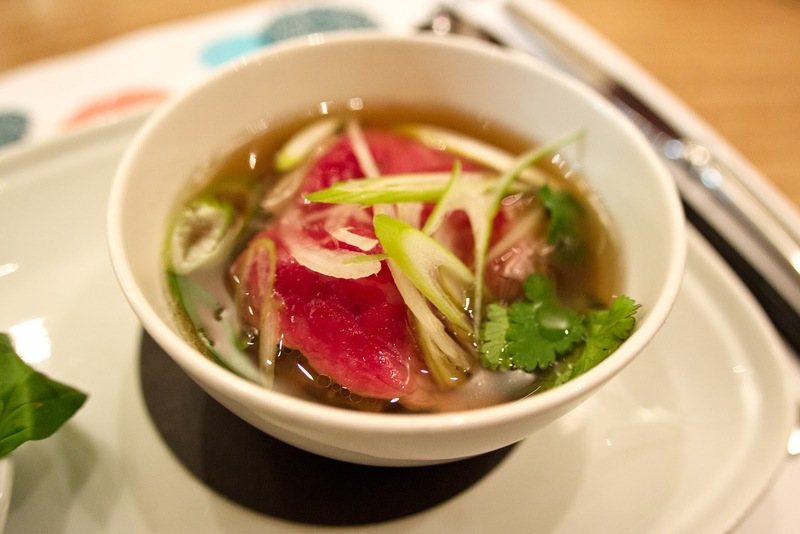 “Wagyu” Pho. We’re at the point where Subway claims their rolls come with wagyu meat inside so it has lost some of its pedigree. The fact is that wagyu refers to the entire animal rather than a particular cut of meat, so Subway may well be giving you wagyu – whether it is wagyu sinew or scrotum or skin – we will never know. Dandelion served wagyu sirloin, tail and brisket. More please. The Pho at Dandelion was good. 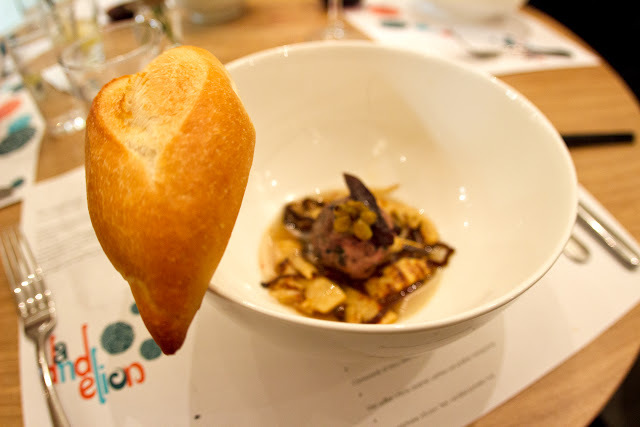 The meat was delicious, the broth was much more of a French stock with hints of Asian spice, but it had body and plenty of flavour. When Chef Geoff Lindsey came around and explained that he felt he couldn’t do the menu justice without creating a version of this ‘ultimate’ Vietnamese dish I gave in. Fair enough. Give it a shot. It’s not Pho Tam’s Pho (pronounced ‘fuuah’ don’t you know) so it’s not my favourite but it was good. The verdict is that with the upmost respect for the cuisine and the ingredients, you can add technique and experimentation to a dish and come away with something worthwhile. Labelling something as ‘fusion’ and actively trying to force different cuisines together doesn’t seem to work but gently expanding on an already existing relationship can work. 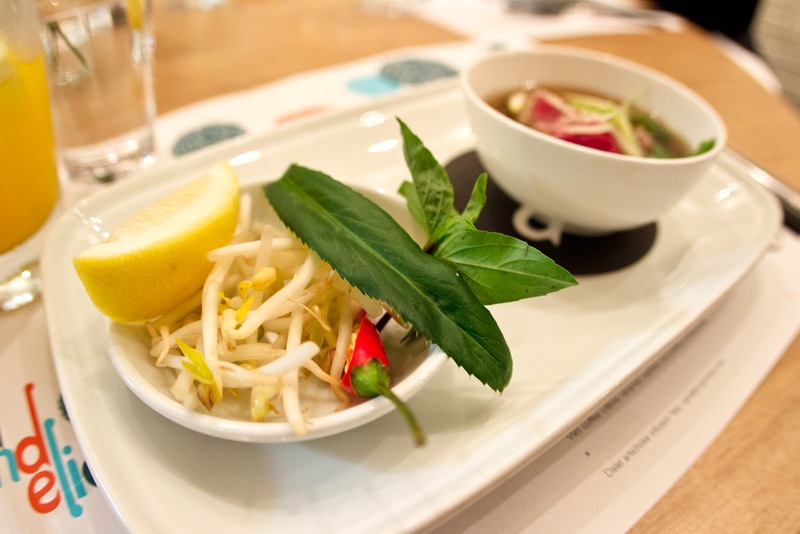 Enhancing the French influence on Vietnamese cuisine, using French techniques to create clear, rich broths with seemingly true Vietnamese flavours. In capable hands, this works. Think Tetsuya’s take on Japanese for instance. I would be happy eating in Footscray for the rest of my life. I am more than happy with the food and the atmosphere there. 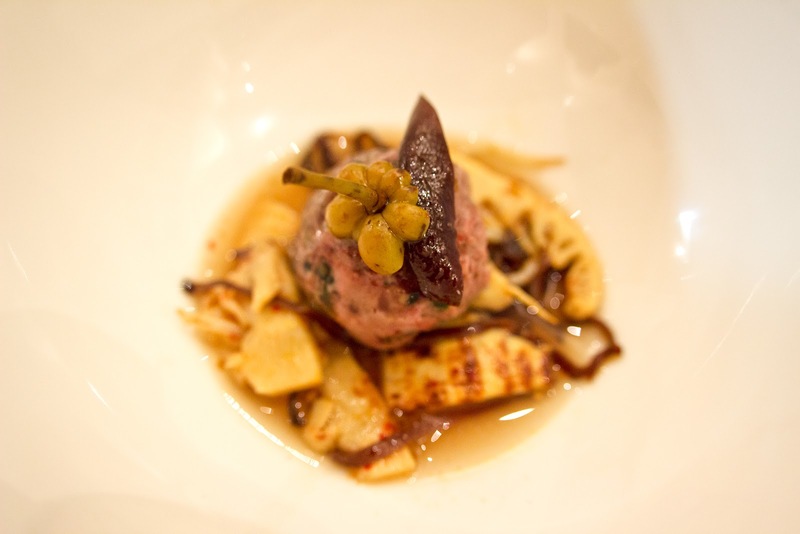 What Dandelion offers is an experience you will be unlikely to find in many other places. The key thing was that this was a Vietnamese meal – this time focused on technique and high quality ingredients rather than creative ways to not breaking the $10 price barrier. Everything worked – the dessert being the only real let down with a slightly too gelatinous crème caramel – but really it’s a misstep hardly worth mentioning. Dandelion served wonderful food and we will be returning at some point to try their regular menu, and we will be eating at Pho Tam this Saturday. 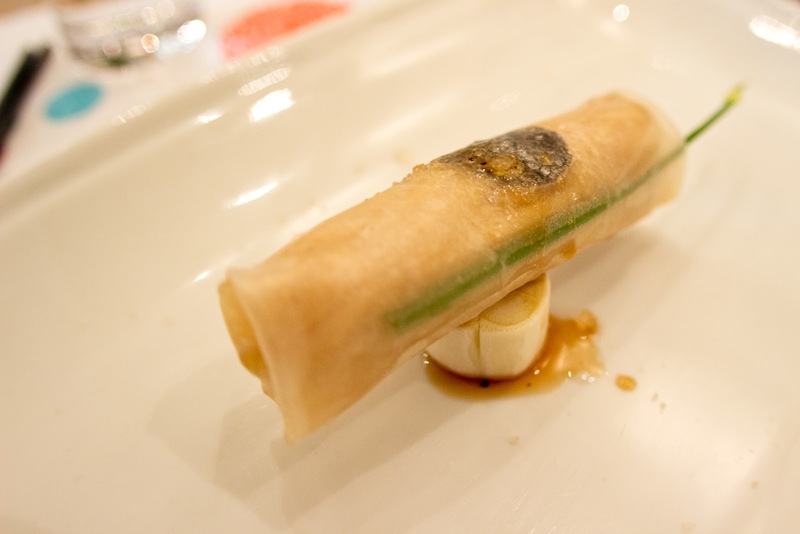 Coconut palm heart spring roll with truffle and chive flowers. 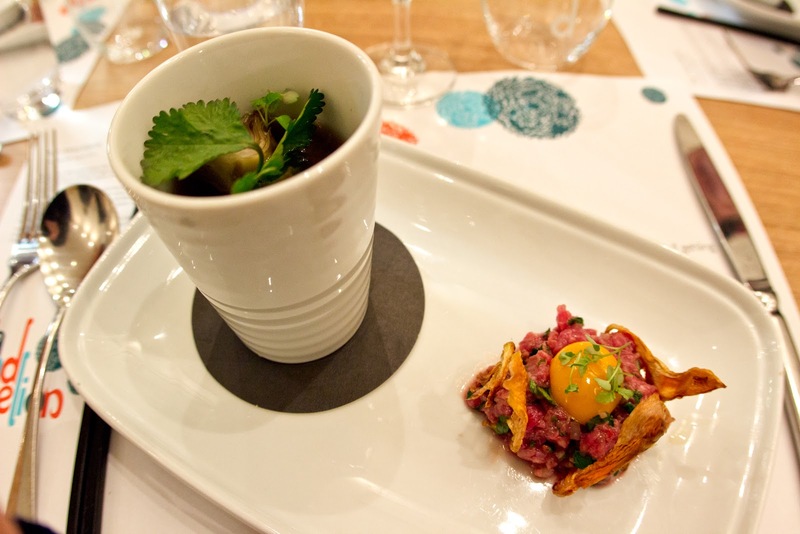 Hmong style spicy beef tartar with artichoke chips, Dalat artichoke soup and pork and prawn dumplings. 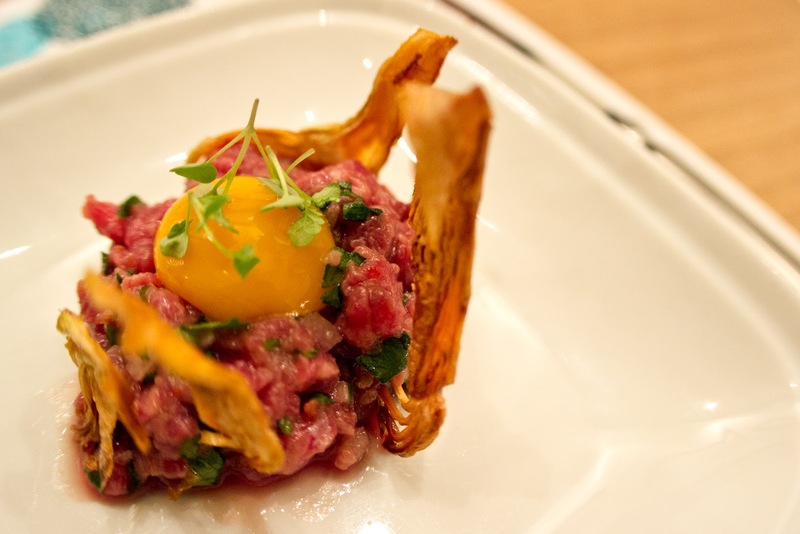 Hmong style spicy beef tartar with artichoke chips. Bun Cha, a Hanoian treasure. A dish of grilled pork neck and patties, bun noodles, sweet golden broth, pickled papaya, crab and pork ‘nem,’ fragrant herb salad. Pho Bo, Wagyu beef, raw sirloin, braised brisket and tail, black cardamom, cassia and star anise broth, rice noodle, saw tooth coriander, chilli and lemon. Pho Bo with saw tooth coriander, chilli and lemon. Steamed pigeon dumpling, fresh green peppercorn, stir fried bamboo shoot with wood ear fungus and beansprouts, preserved snow pear and rice flour baguette. Steamed pigeon dumpling, fresh green peppercorn, stir fried bamboo shoot with wood ear fungus and beansprouts, preserved snow pear. 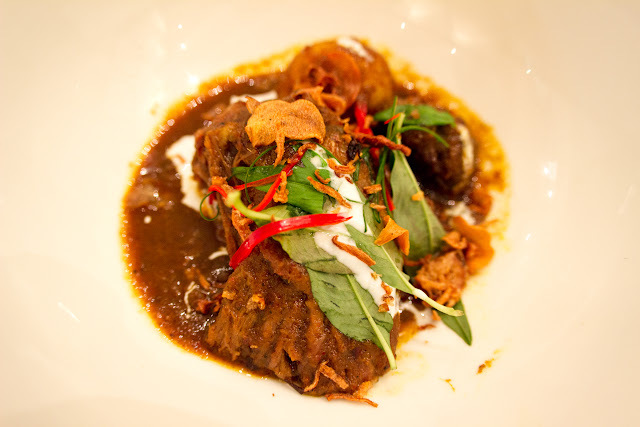 Toasted coconut goat curry with confit shallots, potatoes and buddha’s hand pickle, forbidden rice, smoked eggplant with black vinegar. With moked eggplant with black vinegar. 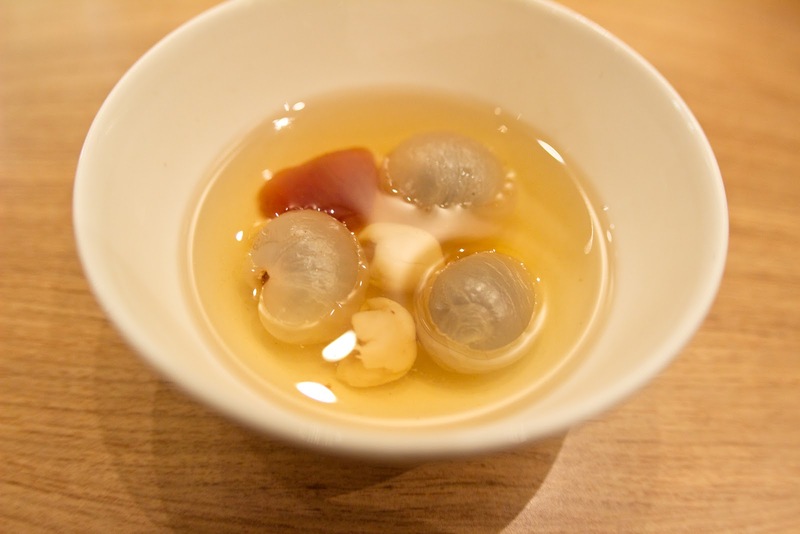 Consommé of lotus seed and dragons eye. 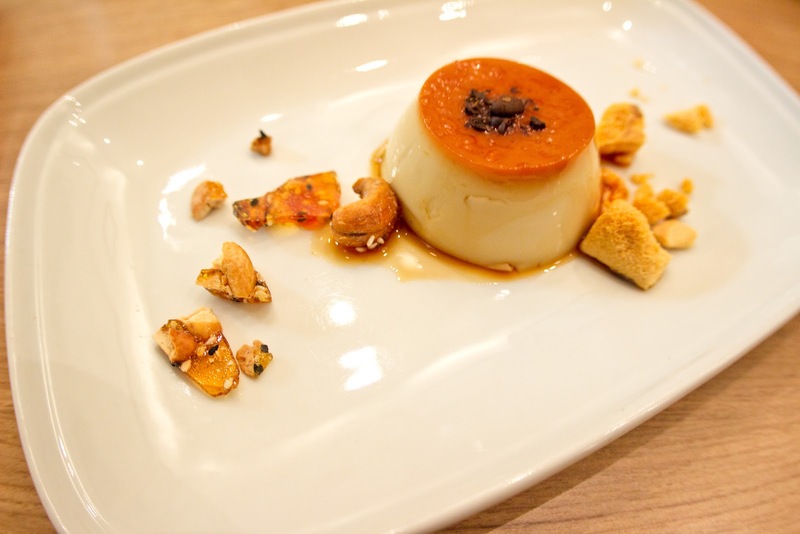 Viet coffee crème caramel, cashew nut praline, honeycomb.